This article is based on scientific evidence by third parties. The information in this article has been carefully written and is backed by health experts with considerable experience in the industry. Our team of licensed nutritionists and health experts strive to be objective, unbiased and honest. Where a health claim has been made, this article contains references. These references are clickable links to independently published research. One of the most common topics my patients ask about in my clinic is weight. Along with this topic comes countless questions about metabolism and how it could be affecting weight loss or weight gain. 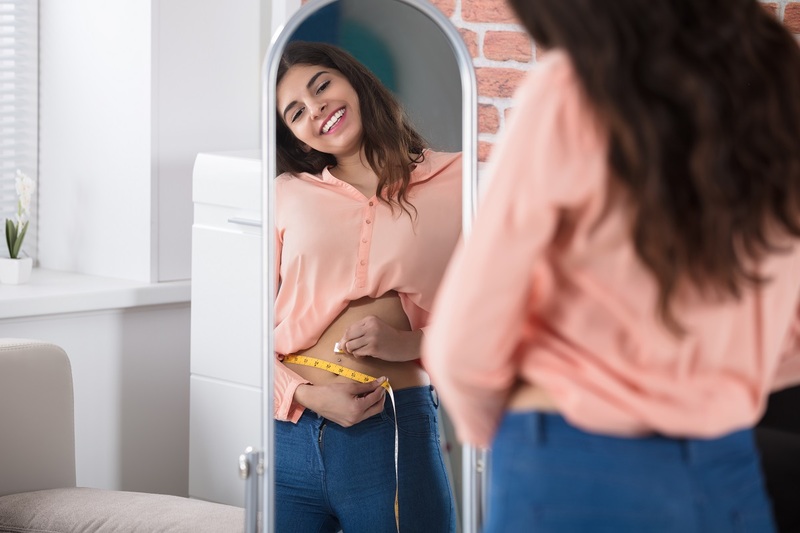 Let’s take a look at some of the most popular questions I hear from my patients regarding metabolism and weight loss. Is It Possible to Speed Up My Metabolism to Increase Weight Loss? Since many individuals believe their weight gain (or inability to lose weight) is a result of a slow metabolism, this is perhaps the most common question I get asked in my clinical practice. A lot of people assume their metabolism is something they can easily control or have an influence over. However, much of our metabolic rate is solely related to how much energy our body’s chemical processes require. That being said, there are steps you can take to support a healthy metabolism. Read on for specific advice on promoting a faster metabolism at the end of the article. Could My Weight Issues Be Caused By a Slow Metabolism? Before answering this question, let me first break down — “What Is Metabolism”? Metabolism describes all the chemical processes that go on autonomously inside your body to keep you alive and maintain normal organ function. These processes include events such as digestion and cell growth and repair. These chemical processes require energy to be completed. The minimum amount of energy your body requires to carry out these chemical processes is called the basal metabolic rate (BMR). Your BMR accounts for anything between 40% to 70% of your body’s daily energy requirements, depending on your age and lifestyle. Therefore, a “slow metabolism” can more accurately be described as a lower BMR. 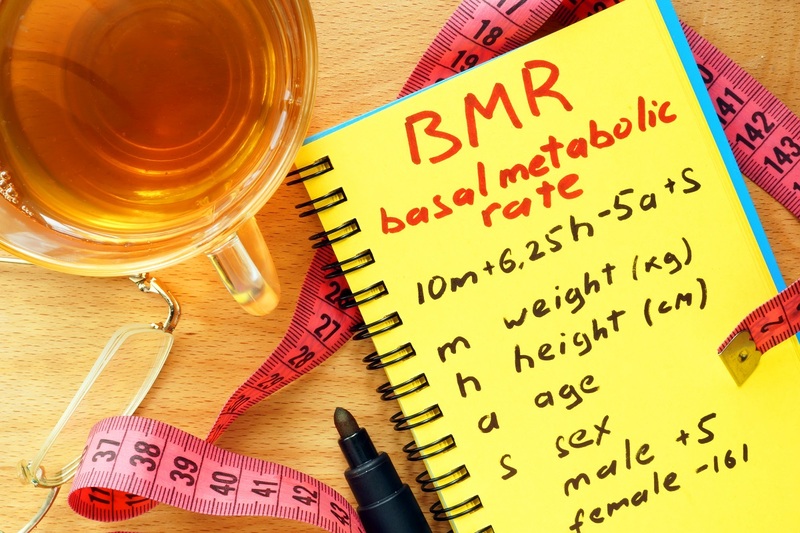 You can use an online BMR calculator to estimate your BMR. Do Some People Have a Faster Metabolism Than Others? Yes, absolutely. It is true that even if two people have similar body composition and are roughly the same size that they can have different metabolic rates. One individual might be able to eat large amounts of food without gaining weight while the other may have to dutifully count calories to avoid weight gain. The reason behind this is not entirely understood, but your body size, body composition, age, gender and genes all play a role in the speed of your metabolism. For example, muscle cells require more energy than fat cells. This means that individuals with a higher amount of muscle will naturally tend to have a faster metabolism. Age also plays a significant role in metabolism. As we get older, we tend to gain fat and lose muscle. This explains why your metabolism may slow down with age. Gender matters as well since women tend to burn fewer calories than men, even if they are similar in size and body composition. Women’s menstrual cycles also exhibit an effect on metabolism, with some women experiencing a higher metabolic rate during their luteal phase (the last half of their menstrual cycle). Am I Overweight Because of a Slow Metabolism? As mentioned earlier, people who struggle to lose weight often blame a slow metabolism, but in fact, there is little evidence to support this claim. Research actually shows that overweight people have faster metabolisms than thinner people. This is because larger bodies require more energy to carry out basic bodily functions, thus resulting in a higher BMR. When asked to write down everything they have consumed in a day, many people tend to report eating far less than they actually do. Research backs this up and confirms that many individuals consume more calories than they realise. More often than not, the reason you are putting on weight is not because of a slow metabolism. Rather, it is because you are eating and drinking more calories than you are burning. It may be hard to accept, but staying on top of the number of calories you eat is a key component to losing weight and keeping it off. Can Losing Weight Too Quickly Cause My Metabolism to Slow Down? Crash diets and other calorie-restricted diets can slow your metabolism and harm it in the long run. With some of these diets, your body is forced to break down muscle to use for energy. The lower your muscle mass, the slower your metabolism. With less muscle and a slower metabolism, it then becomes a lot easier to put body fat back on after coming off the diet. These crash diets are often extremely restrictive as well. This results in individuals binging once they finally leave the excessive rules and limitations of the diet behind. Along with a host of other risks, crash diets can also lead to something called The Rebound Effect. This refers to the difficulty in keeping the weight off once you have lost it. Drastically reducing calorie intake may trick your body into thinking it is starving. As a protective mechanism, your body then slows down your metabolism, making it harder to lose any more weight. It also means that adding calories back in may cause you to regain weight quickly. How Can I Lose Weight Without Harming My Metabolism? To avoid harming your metabolism with harsh crash diets, it is best to follow healthy weight loss guidelines. Generally, losing 1 to 2 kilograms per week is considered a safe rate of weight loss. While 1 to 2 kilograms per week may not sound like much, evidence shows that even modest weight loss can translate to significant health benefits such as improvements in blood pressure, blood sugar, and cholesterol levels. What Can I Do to Speed Up My Metabolism? Whether you can change your metabolic rate is a subject of significant debate. While many foods, supplements, and pills claim to possess the ability to speed up the metabolism, the majority of these claims are unproven. While there is no magic pill to fire up your metabolism, you do hold the power to adjust your diet and activity levels to affect your weight. Avoid falling victim to fad diets or supplements claiming to be miracle pills. Pay attention to how many calories you are consuming and how many you are burning through physical activity. If necessary, adjust the number of calories you are eating in a day. Be realistic and honest when it comes to portion sizes. Increase your physical activity. The more active you are, the more calories you burn. Aim for a minimum of 150 minutes of aerobic exercise per week. Be sure to include some resistance training. It cannot be stressed enough that muscle burns more calories than fat and will help you in losing weight. Consume adequate amounts of protein to help support lean muscle growth. For more tips, we recommend this article. Still confused and not sure where to go from here? Consider an evidenced-based nutritional system such as Isagenix. When followed correctly, these systems are proven to assist in weight loss through nutrient dense, low-calorie meal replacements. These programs also maintain and build lean muscle thanks to the inclusion of high-quality protein. As we learned above, more muscle translates to increased fat burn. As always, remember to consult your health care provider regarding any medical concerns or changes to your dietary routine.